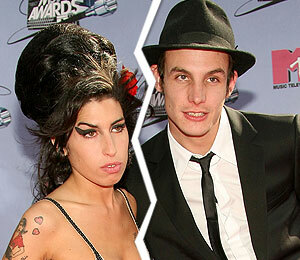 "Rehab" singer Amy Winehouse has been granted a quickie divorce from her husband of two years, Blake Fielder-Civil. During the court proceedings in London today, the Grammy winner admitted to adultery, one of the reasons cited for the couple's split. Amy, 25, and Blake, 27, married in Miami in 2007. Miss Winehouse has been vacationing in St. Lucia for the past six months.